3PL, also commonly seen as TPL, stands for ‘third party logistics’. This term applies to companies who provide outsourced logistics services. The features 3PL companies provide include storage facilities, transportation, inventory control, and freight forwarding. All these services are designed to make sure products travel from their source to their final destination in the most efficient manner. Some 3PL companies offer for a wide range of logistics solutions. Other companies specialize in more specific areas. For example, some companies will only offer storage facilities, while other companies offer specialized services like transporting frozen food or livestock. More and more businesses are choosing to use third party logistics to care for their logistics needs, which provides them with a competitive advantage. 3PL logistics companies can provide their customers with a number of benefits, and as a consequence be a huge asset to any business. To meet the complex demands of logistics, companies offer a wide range of integrated services. Here are the main advantages provided by third-party logistics companies. Resource savings. Every business today is operating in a competitive worldwide market, and many businesses have expanded their operations to international markets. This can be expensive if a business had to care for its own logistics. Third party logistics companies have the expertise and experience to efficiently store, transport, and deliver products internationally. They have the latest technology, and can adapt to the changing needs of customers and suppliers. Low investment. A business that produces or sells goods would have to make a substantial investment if it organized its own logistics. There are storage facilities to own and transportation to organize. 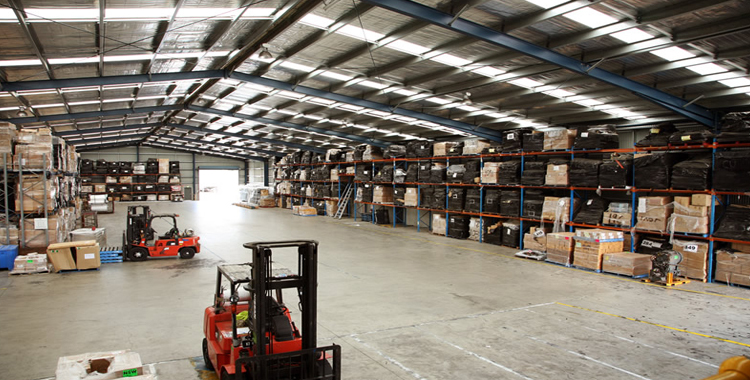 3PL companies already operate large warehouses and look after inventory control. It is a much cheaper option to outsource these services to a third-party logistics company. Streamline business. Businesses who hire 3PL companies can concentrate on their core business. They do not have to worry about the complexities of logistics. This can allow them to develop and streamline their business practices. The end result is a more competitive and successful company. Extreme flexibility. Large 3rd party logistics companies offer flexible services. They have storage facilities throughout the country, and possibly even in foreign countries. This can give a business much more flexible logistics solutions. For example, large companies allow businesses to choose from several options as to where it sources raw materials, stores its finished products, and distributes them. A reputable 3PL company will be able to offer the best advice on any logistical solution. Any business wishing to be competitive should explore the advantages a third party logistics company has to offer.